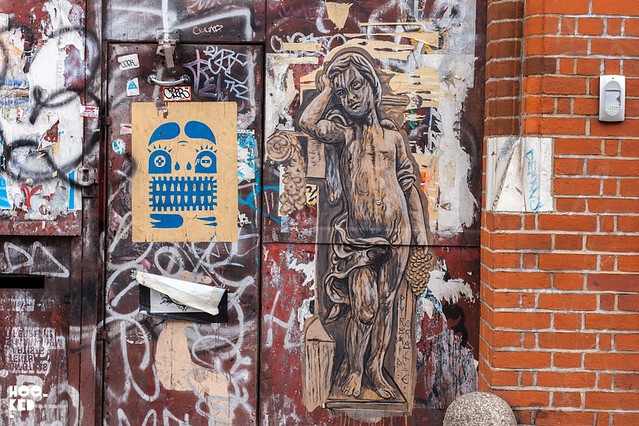 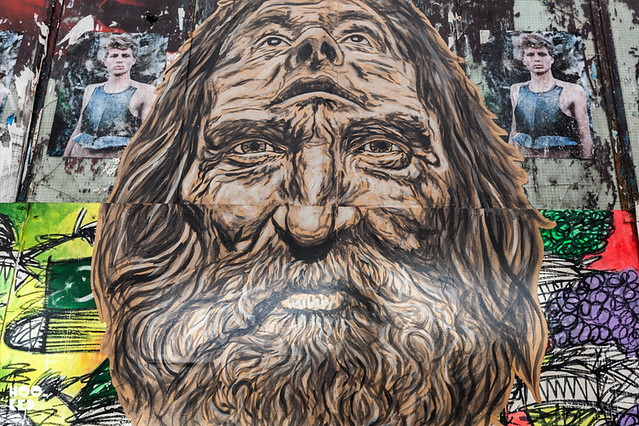 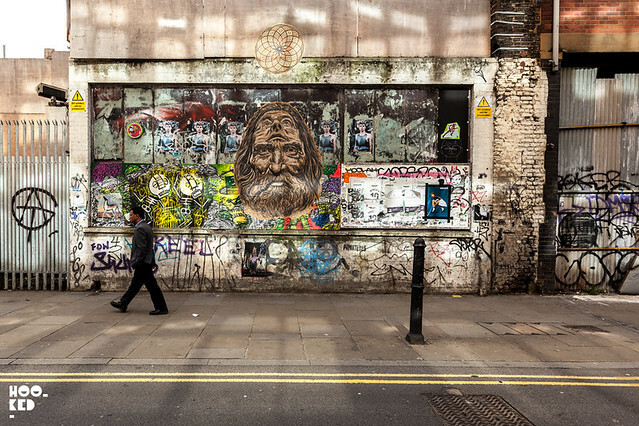 London based New York street artist Pyramid Oracle continues to impress with his large scale hand painted pasteups across the city. 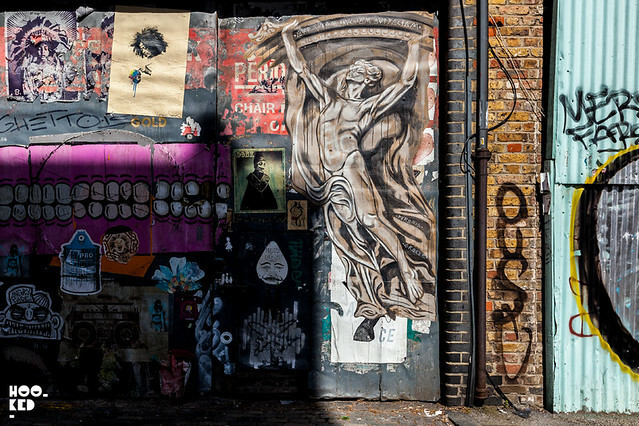 The artist has been extremely active on the streets since his arrival in town and we have enjoyed discovering Pyramid Oracle's works on our travels. 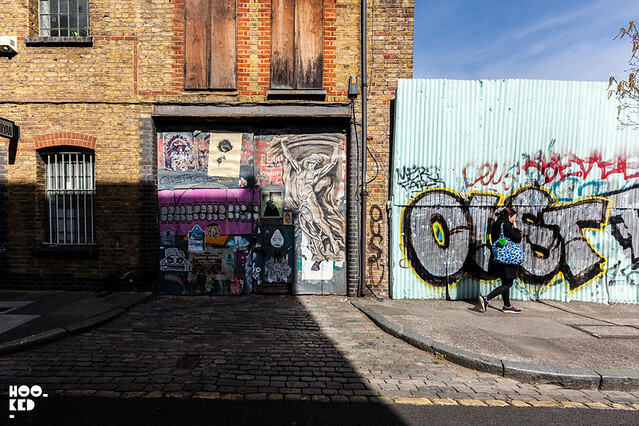 We have already featured the artist's work on the blog in the last two months over two blog posts here and again here and we have just come across two new large pieces of work the artist has added to those already on the streets of East London.